When her seventeen year-old son dies, Manuela leaves her job and takes to the road to search for her son’s father. In Barcelona, she becomes involved with three women in crisis: a young nun, a famous actress and a drag queen. Yet, will taking care of these women help her overcome her guilt and grief for a lost child? For all mothers, everywhere. With its nods to Tennessee Williams and All About Eve, Almodóvar’s great exploration of a mother’s strength and life’s frailty has been turned into a superb play. WARNING: CONTAINS STRONG SEXUAL REFERENCES, STRONG LANGUAGE AND ADULT THEMES. Jolyon James is the Artistic Associate at Arena Theatre Company. 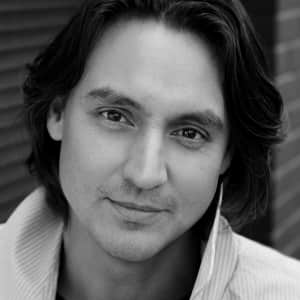 As a graduate of the Western Australian Academy of Performing Arts (WAAPA) Jolyon has spent 20 years working both nationally and internationally as a performer in film, television, theatre and musical theatre. Alongside his acting career, he has developed a significant arts practice and has exhibited across the country. Most recently, through his own company BILLIEJEANISNOTMYLOVER, he was nominated as one of the top 10 emerging Australian photographers and was a finalist in the prestigious National Portrait Prize. Holding a Bachelor of Education, he maintains a strong connection between young people and creativity. He has written and directed numerous works for young adults and is currently producing his own dynamic television series for children.